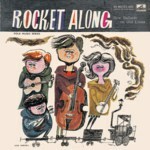 The LPs A Pinch of Salt and Rocket Along are from the same recording sessions. British folk-song enthusiasts owe a metaphorical debt to H.M.V., for during the past few months that company has issued no fewer than three LPs by local folk-singers, all of them recorded and edited by that indefatigable enthusiast Peter Kennedy, on behalf of the English Folk Dance and Song Society. 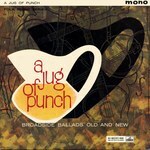 The best of these records is A Jug of Punch , H.M.V. CLP 1327, containing a splendidly varied collection of broadside ballads. These include, as well as more traditional songs, such up-to-date items as Football Crazy, an amusing ballad collected and sung by Seamus Ennis, and The Sugar Ray Robinson–Randolph Turpin Fight, adapted by Ewan MacColl from an epic poem by a Soho street gambler and sung here by Steve Benbow. Isabel Sutherland, a Scottish singer with a voice that can be quite startling, performs The Light Bob's Lassie, a passionate, forceful song, while Shirley Collins is heard in Higher Germanie, a ballad inhabiting the harsh world of “Mother Courage”; Miss Collins' innocent voice and the idyllic sound of Seamus Ennis's whistle-pipe gives an ironic flavour to the lyric. Frank McPeake sings and plays the Irish bagpipes on Monaghan Fair; Seamus Ennis celebrates the zany habits of Brian O'Linn, and Steve Benbow performs a gallows song, the ballad of Jack Hall, a seventeenth-century burglar, and obviously a predecessor of the blasphemous Sam Hall. Two of my favourite tracks, though, are Frank Purslow's beautifully commonplace rendering of Ratcliffe Highway and a duet by Bob and Ron Copper, cousins and both publicans, who sing Twankydillo a drinking song, and When the Old Dun Cow Caught Fire. But this is a fascinating LP all the way through, as well as being excellent value for money (it contains eighteen tracks altogether). 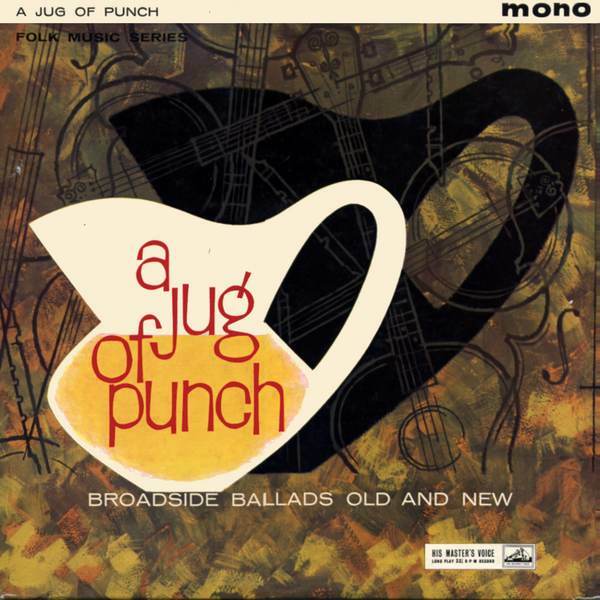 The LPs A Jug of Punch and Rocket Along are from the same recording sessions. A Pinch of Salt , H.M.V. 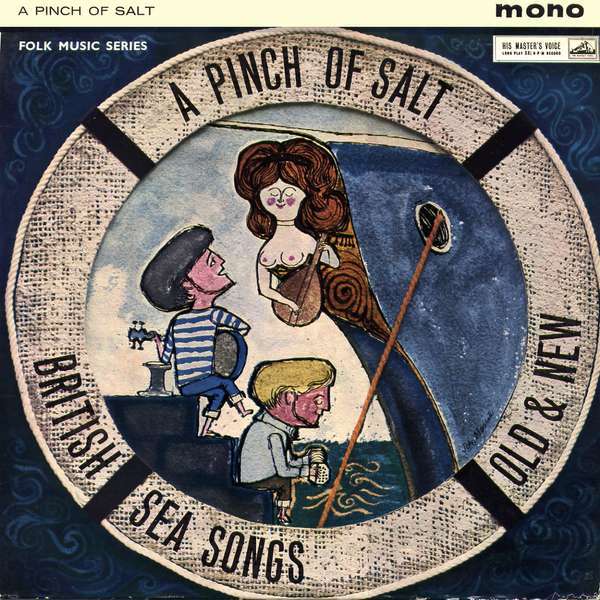 CLP1362, the third of these records, is devoted to British Sea Songs and ranges from the seventeenth-century lament, My Bonny, Bonny Boy, admirably sung by Shirley Collins, to On a British Submarine, Cyril Tawncy's story of misadventures at the Coronation naval review of 1954. Among the really outstanding tracks are two by Bob Roberts (as usual, he is accompanied by just a melodeon)—Maggie May, all about a sailor fleeced by a girl in Woolwich, a song packed with nautical metaphor, and Time for Us to Leave Her, “the greatest grumbling song of them all” as the sleeve note puts it. Also to be recommended are Seamus Ennis's unaccompanied performance of The Mary Anne McHugh, not, strictly speaking, a folk-song at all (it was composed by Percy French, who wrote Phil the Fluter's Ball) yet a song that has become absorbed into the tradition, and Jimmy MacGregor's sombre rendition of Henry Martin. There are sixteen tracks on this LP altogether, and while the general level is not so high as that on A Jug of Punch they do add up to a very diverting collection. On all three LPs, of course, the singers are usually accompanied by either a banjo, guitar or mandolin, a practice that seems to have become the rule among most British folk artists. 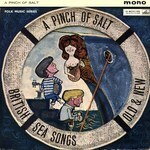 The LPs A Jug of Punch and A Pinch of Salt are from the same recording sessions. 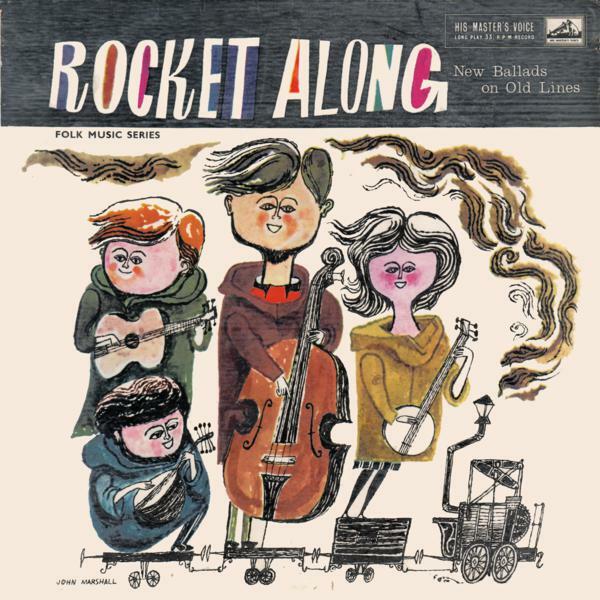 Rocket Along , H. M.V. (10-inch) DLP1204, is mainly concerned with new ballads built upon traditional lines. There are, for instance, a couple of compositions apiece by Ewan MacColl and Fred Dallas. In the case of both these songwriters, however, I was irritated by the air of self-consciousness in their work, the gap between the immediacy of the events (the Smithfield Meat Market fire of 1958, in one instance) and the often beautiful but archaic character of the melodies and methods of performance. You cannot really write about the world of today within the exact conventions of the eighteenth and nineteenth century ballad. The only really successful new song here—and it is a very good one indeed—is Dark as a Dungeon, written by the American guitarist and ex-miner, Merle Travis. This song has a real identity, the words lying above the melody to make a genuine poetic impact. It is excellently performed by Steve Benbow, Shirley Bland and Jimmy MacGregor. Another engaging song is Cyril Tawney's The Last Boat's A-Leaving, a tender little ballad, sung quite sensitively by its author. A slightly earlier generation of songs is represented by Cosher Bailey, performed by Eddie Thomas in a slightly modernized form (e.g. “His version of Cwm Rhondda/Makes the angels jive up yonder”), and that jocular account of attempted cannibalism, Little Billee, its lyrics attributed to Thackeray, very capably sung here by Bob Roberts. Isabel Sutherland does quite a good job with The Wee Magic Stone, but Shirley Collins is badly mis-cast in Space Girl, Ewan MacColl's parody of a song popular with the G.I's (“Dough-boys” they were then) of World War I. This lyric, packed with references to Martians, ray-guns and bug-eyed monsters, needs the hard-bitten virtuosity of an Annie Ross or a Georgia Brown to make it sound worthwhile.